Learn Russian in Ho Chi Minh City ! Beyond the importance of Russian influence on Vietnamese history in the twentieth century, close ties still unite Vietnam to Russia, whether they be of military, scientific or diplomatic nature. But it is especially in the Vietnamese tourism industry that the importance of the Russian presence is being observed. Indeed, it is impossible to miss Cyrillic scriptures whether you are in Mui Ne, Nha Trang, or other seaside resorts on the Vietnamese coast. And every year between 200,000 and 300,000 Russians take one of the 700 direct flights to visit Vietnam, often for longer durations than tourists from other countries. For these reasons, since the start of the 2016 academic year, we offer Russian courses for all levels and all ages with a native teacher. Whether it is your curiosity or your desire for personal enrichment or a school or professional project, learn or strengthen your skills in Russian in group or private lessons. 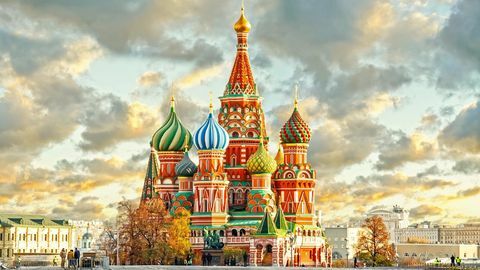 Russian is the 9th most spoken language in the world, with 235 million speakers, of whom 180 million are native speakers !